How many stars do you give Little Round Pot Blusher by Bourjois? Bourjois Little Round Pot Blusher is available to buy at lookfantastic, HQhair.com, ASOS, Feelunique, Boots.com, and Beauty Expert. 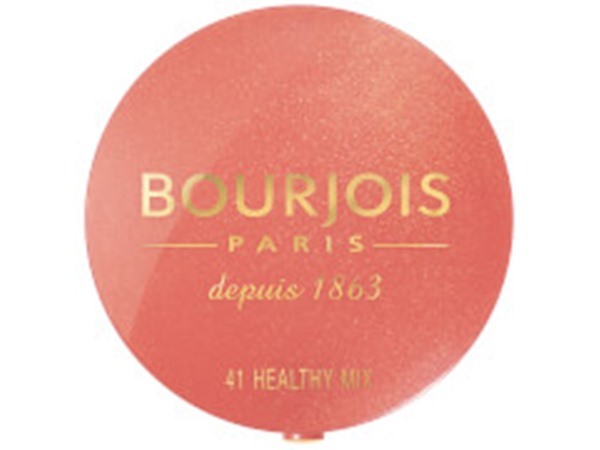 Bourjois Little Round Pot Blusher Powder is soft and velvety thanks to a pearl effect and a skilful blend of pigments. Our timeless blusher has been around for almost 150 years. I am in my late teens/early 20's with normal, light tone skin and hazel eyes. My hair is blonde, combination with fine texture. Peapea, EllenS and nikola300 like this. I am in my late teens/early 20's with combination, light tone skin and blue eyes. My hair is dark brown, combination with fine texture. MakeUpGeek, Ashli and Amestarz and 6 others like this. I am the blush type of person for makeup, and I really like this blush. 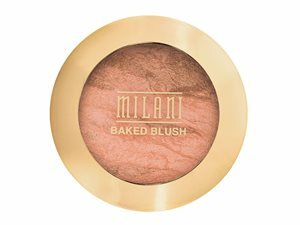 I feel skeptical when a blush has some shimmer in it, but with this blush, it’s the perfect amount that gives a sheen to the cheeks. It is pigmented, but not too much, which is good for applying layers of blush. I am in my late teens/early 20's with combination, light tone skin and unknown eyes. My hair is unknown, unknown with unknown texture. 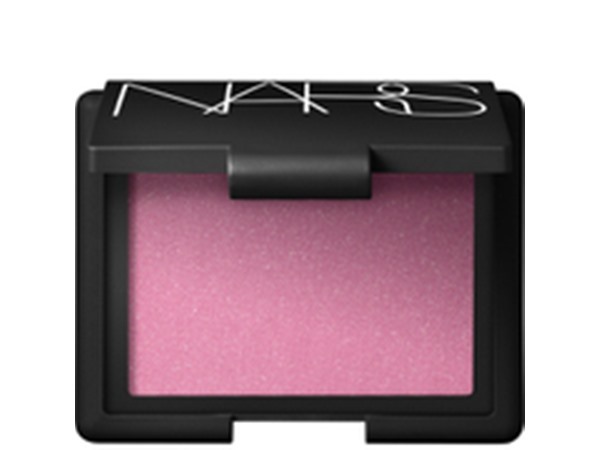 This blush is compact and easy to travel with and so pigmented. Apply with a gentle hand! The array of colours is perfect. The only reason I wouldn't buy again is my love for the benefit dandelion blush. I am in my late teens/early 20's with sensitive, fair tone skin and green eyes. My hair is red, dry with normal texture. Amestarz, Cassiej and Brooke500 like this. This pot works wonders. It may seem little but the pigmentation is amazing. The colour is very standing out and if going for a subtly nlush look only dab a little on the brush as it is hhighly concentrated. As not much is required for application this little pot can last a very long time so i highly reccomend as I've been getting this same blush just in different colours everysingle time. I am in my late teens with combination, light tone skin and blue eyes. My hair is light brown, dry with normal texture.  GlamGeekClaire, MakeUpGeek and Lickle-Boo and 2 others like this. This is my favourite blush because it never looks to much so can be used everyday but it’s buildable for a more evening look. It lasts until I make my makeup off which I can’t find with many blushes - my cheeks still look pretty and rosy after a full day. It comes in a lot of different shades, I’ve found a lovely shade that isn’t overly pink so gives more of a natural look. The only thing is it’s not very pigmented and I have to apply quite a lot of pressure on my brush to pick it up otherwise it doesn’t apply very well but it feels light to me so this isn’t a big deal to me. I am in my late teens with combination, light tone skin and blue eyes. My hair is blonde, normal with normal texture. MakeUpGeek, Amestarz and AmelieS and 1 others like this. Finding a lasting blush is impossible I hope this works for me! I’m not too sure about this product because it lasts v long but it isn’t v pigmented but it does give a light blushed look which I do love. However it’s not a strongly coloured product and this isn’t good enough for a £8 blush so I wouldn’t recommended getting it unless you need a light coloured blush and you don’t mind what price it is. I do like the fact that it doesn’t look harsh against your cheeks. you don’t need much blending as hardly any product is picked up in the first place. 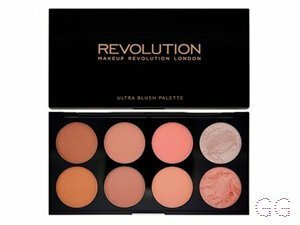 So if you’re looking a for a good blush go for revolutions 8 shade palettes as they are a much better option. MakeUpGeek, Lickle-Boo and chocolate123 and 1 others like this. I am in my late 20's/early 30's with normal, light tone skin and unknown eyes. My hair is unknown, unknown with unknown texture. MakeUpGeek, Lickle-Boo and Amestarz and 1 others like this. ✨I was really drawn to the this product as there are so many gorgeous shades available, I thought I’d give it a go. I was really disappointed with the results, mainly due to the lack of pigmentation. I kept applying layer after layer but I just couldn’t seem to get the colour out. I found that the coverage is poor and didn’t apply evenly across my cheek bones. What I could get out it did blend well with my contour. The price tag of £8 is really expensive for a product which doesn’t provide great results. I’ll be sticking to I Heart Makeup’s Blushing Hearts I think! Lickle-Boo and zoe_ like this. I am in my late 20's/early 30's with combination, olive tone skin and brown eyes. My hair is medium brown, normal with fine texture. Amestarz, Grotbag and Bookie like this. 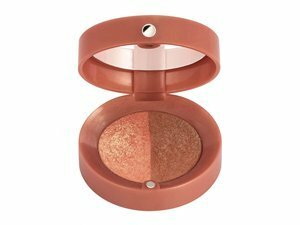 I love using this blush when i want a natural flush of colour to my cheeks. I find that this blush has to be built up more than others but has the best results for a natural colour and it also lasts forever. The brush it comes with is super soft but well packed bristles so that its effective. I love that it also has a mirrow. 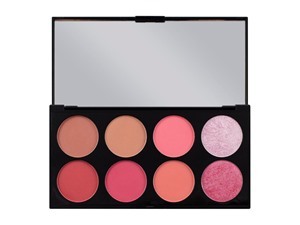 Great for on the go and to top up your blush through the day if needed. I am in my mid 30's with dry, light tone skin and blue eyes. My hair is red, dry with normal texture. I love this product. It is perfect do my fair skin and it gives a brilliant shimmer. 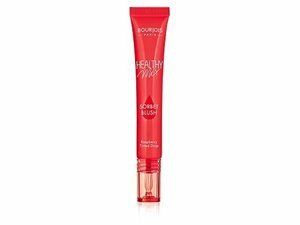 I love the softness of it as I do with all bourjois products. I really love this it applies so easily and stays on for ages and it's not too bold which I love. I am in my late teens with normal, fair tone skin and blue eyes. My hair is light brown, normal with normal texture. I think this product isn't very good, I have the shade 03 copper brown and nothing comes out of the pot, it's terrible. However the packaging is really cute as it does come with a little brush and the product itself does smell really nice! Maybe I would buy another shade but I wouldn't buy 03 again. I am in my late teens with oily, light tone skin and blue eyes. My hair is light brown, dry with normal texture. I am in my late teens with acne/problem, fair tone skin and blue eyes. My hair is blonde, normal with normal texture. I am in my late 20's/early 30's with normal, light tone skin and green eyes. My hair is dark brown, normal with fine texture. Its really pigmented, but just enough to look natural. it gives that shimmer that you need to make your cheeks really POP especially just after contouring. Plus, IT SMELLS SOOOOOOO GOOOD. They come in such a cute little pot with a nice brush (that i rarely use) and a cute small mirror, i can never use the mirror because i find it to small. I am in my late teens with normal, light tone skin and hazel eyes. My hair is medium brown, normal with normal texture. I love these little pots, small enough to pop into your bag on the go, great colour selection, I love their scent. They are blendable and buildable. 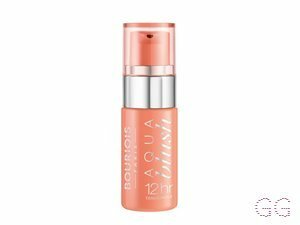 For me they don't last all day but bourjois sure do great powder products. I am in my late 30's/early 40's with combination, light tone skin and green eyes. My hair is blonde, combination with fine texture. These little pots are amazing, they smell gorgeous and last forever. They come with a brush which make them perfect for handbags- the size and structure of the packaging makes them pretty sturdy so they can cope with being rattles around in a bag! There are great colours available and I think they blend well. Also they aren't too sparkly. I am in my late 30's/early 40's with normal, light tone skin and green eyes. My hair is blonde, normal with fine texture. I am in my mid 20's with normal, fair tone skin and blue eyes. My hair is dark brown, normal with normal texture. I love Bourjois products because they smell so lush! You don't need a lot, and it lasts forever, I have had mine years and it just won't run out! The brush it comes with is a bit rubbish but will do if you're out on the go. The packaging is cute and is a good price.